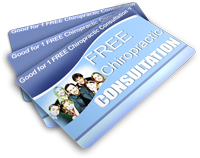 #SunnyvaleCA Hello everyone in Sunnyvale, California, I am the number one chiropractor in the Sunnyvale area. It doesn’t matter to me if you pulled a hamstring playing basketball, twisted a knee playing hockey or even gave yourself a wrist injury twirling rope for your daughter’s double Dutch team, a sports injury is painful to deal with, and if it is not cared for properly, can become worse and worse. That’s no fun, is it? Whether you have a minor sports injury or one that is more serious, it is important to get it taken care of as soon as possible so that you can get back to normal or as close as possible. Many of the people in Sunnyvale may choose to go to traditional doctors for expensive tests, medications with potentially dangerous side effects and eventually the threat of surgery, which is frightening for many people. This may not be necessary, and here in my Sunnyvale office located at 260 S Sunnyvale Ave, 94086, we can discuss the other, alternative options that can help to treat your sports injury, once and for all. My Sunnyvale practice will work with you to find an acceptable treatment plan. With careful manipulation of the soft tissues involved in the sports injury, I can help you to work through the pain. You will have your own part to play as well – you will have exercises that will help to get your function back faster and will help to reduce the pain, with the goal of getting rid of it completely.